When I first heard that Urban Outfitters was launching a new collaboration with Laura Ashley, I knew the name sounded familiar. "Didn't you wear a lot of Laura Ashley in the '80s?" I texted my mom. As it turns out, not only did she own several of the brand's signature floral dresses, but I had totally forgotten that she even got married in a Laura Ashley dress (a purple velvet one, to be exact). Now that the brand is back with some very cute 2018 items, I decided to test out the collab for myself—with a little inspiration from my mom's chicest '80s looks, of course. One of the collection's blouses has a floral print that reminded me of my mom's puffy-sleeved dress, so I immediately zeroed in on that piece. My mom also layered a cute red striped Laura Ashley dress over a white blouse, so I decided to style another dress from the collab over a white tee. (Do I get bonus points for also wearing the same Nike Cortez sneakers that my dad is wearing in the photo?) 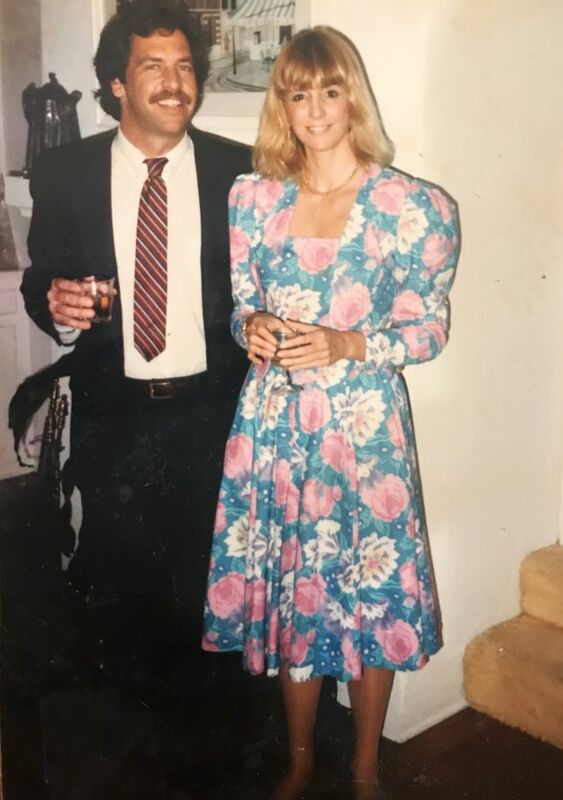 Scroll down to see how my mom and I style Laura Ashley dresses over 30 years apart.